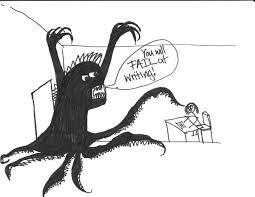 It’s no secret that we writers suffer bouts of fear now and then (maybe even more than just now and then) while we’re writing. I’m not talking about the kind of fear where the heart is pounding so hard it’s about to burst through the rib-cage. I’m talking the garden variety fear that prevents forward movement or progress. As much as I love gardens, we don’t want that kind of fear or any other variety in our lives. – When all else fails, read for inspiration. Reading encourages words to flow through your head, crowding out any fears. What Makes a Good Writers' Conference Great? I’ve had the pleasure of attending a few writers’ conferences, eight to be exact, and they all had the same necessary ingredient that makes a conference successful: opportunity. – The chance to meet and mingle with other authors, readers, agents, publishers and inspiring people in the biz. 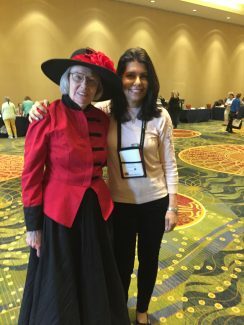 For instance, at the Malice Domestic Conference in Maryland, I met wonderful “friends” I’d only known via social media, as well as lovely, award winning bloggers. I also met wonderful actors, big-time authors, and my very own publisher. – The opportunity to discover important material to carry around long after the Conference is over. For instance, I was an audience member for “Murder at the Improv” featuring these exceptional authors: Hank Phillippi Ryan, Sheila Connolly, Barbara Ross and the indefatigable Parnell Hall. It was a brilliant, talented panel who played off each other well in explaining the elements needed for a good mystery. In fact, it was so nicely done, that I borrowed the idea and used it at a recent Sisters in Crime Central Coast conference. It was a hit! – Seeing your book in the hands of dear readers. There’s nothing quite like it! I’d just left the Malice bookstore when I happened upon a reader and her friend who were holding my latest novel. Such an exciting moment for me! Of course, I had to stop, and we had a lovely chat. Turns out they live in So Cal and were interested because I write a So Cal Mystery series. I couldn’t have asked for more than that. – There’s usually a breakfast, lunch, dinner and/or banquet to meet published and unpublished writers. Sisters in Crime hosted some of these at Malice and they were fun. Being a member of such a phenomenally helpful group provides a strong bond that turns strangers into instant friends. Conferences can be action-packed (not unlike some novels), and the time may come to retreat and regenerate. That’s what hotel rooms, cars, and exercise are for. Walks are particularly wonderful. Who doesn’t like to take in new sights and sounds? Is there a downside to attending? The cost perhaps, but most conferences offer scholarships to attend as well as volunteer opportunities. My writing life started because I volunteered at the Santa Barbara Writers’ Conference and won a scholarship to the San Francisco Writers’ Conference. Wonderful opportunities can make conference attending a must. 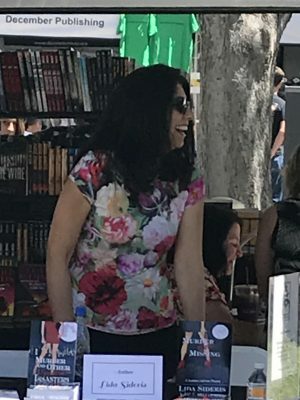 I had a fantastically fabulous time at the Los Angeles Times Festival of Books this past weekend! Truly, readers, writers, booksellers and book lovers in general are some of the very best kinds of people. Maybe it’s because reading and writing take us on so many different journeys that allow us to experience so much of life in a relatively short period of time and with great concentration. It teaches us to empathize and better understand the world and lives around us. As well as helping us to discover what we have in common with others. I had the pleasure of meeting many readers, but one in particular, stood out: A young mystery reader who asked me about my books. I explained what they were about (“A newly minted lawyer lands a dream job and is promptly blackmailed into investigating a suspicious death just because she’s the daughter of a late great PI and everyone assumes she’s inherited his sleuthing genes, but has she?” Try saying that in one breath!). I asked this young reader if she was a fan of Nancy Drew mysteries. She was. But not of the modern versions. This smart reader told me with great delight that she enjoyed making fun of the modern Nancy Drew versions. I agree. There’s nothing quite like the original Nancy. If I was more observant, I would have noted that my new reader friend was wearing a Nancy Drew shirt, that displayed a a page right out of a Nancy Drew book. 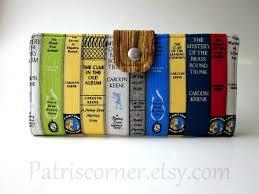 And she even carried a Nancy Drew wallet. I loved it! This young person was just one of many lovely readers I had the pleasure to meet. But I have one regret. When this loyal Nancy Drew reader left, I wished I’d given her one of my books. If by some chance, she happens to read this post and would like one, I’d be happy to send it out. I really enjoyed our Nancy Drew talk! 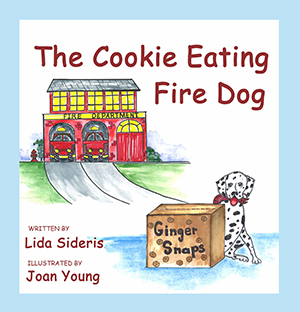 And was so happy to learn that there are young readers today who are getting to know and enjoy this timeless mystery series. 2019. Lida Sideris. All Rights Reserved.